SmitHahn Company Inc., is a complete Mechanical Contractor servicing the manufacturing and commercial markets. 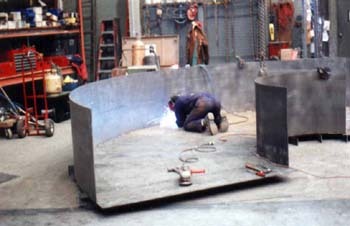 Services offered include welding, fabrication, erection, rigging, millwright, and engineering. Customers contact us when the project at hand requires expert experience, cost saving solutions, or requires prompt completion and service. We are proud of the relationships we have forged with our clients, and invite new customers to review our performance. As always we are committed to our customer's continued success and satisfaction. We look forward to serving you!